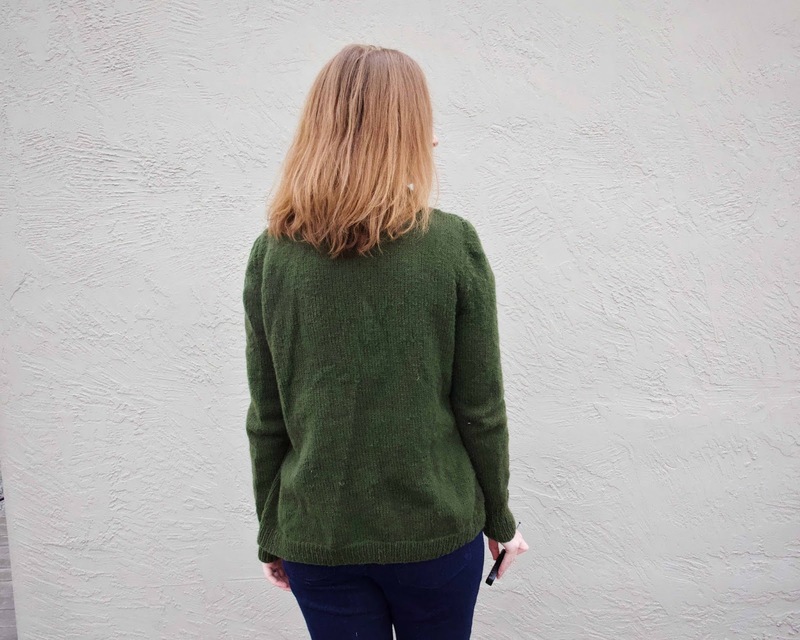 Last time we talked about sweaters, I had just finished a multi-year project making this two-toned beauty. And that is about my usual cadence for knitting sweaters - a couple of years. But in the past few months, I managed to start and finish another one. It's a record! 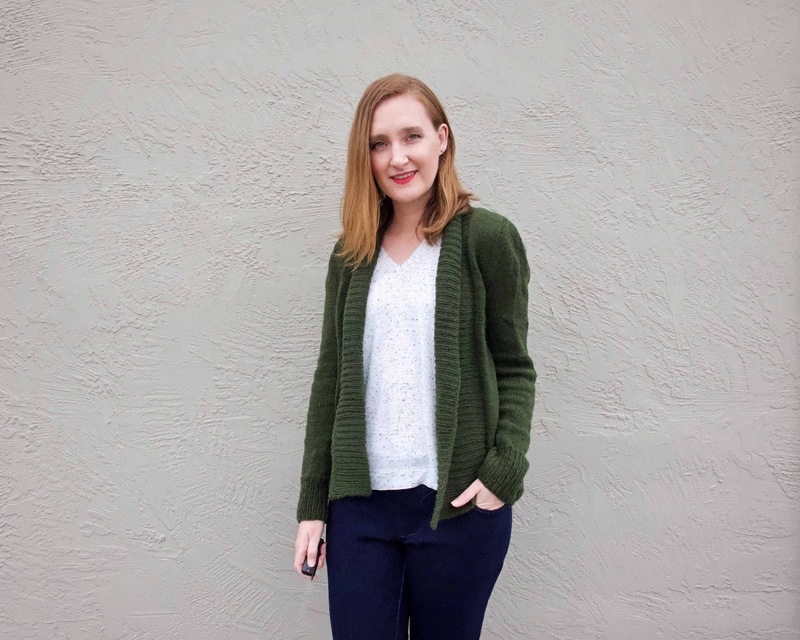 The sweater in question is the Georgetown, an open-front cardigan that promises to be cozy and stylish. The quick nature of this project is due to the easy pattern plus all the knitting time I had over the holidays. 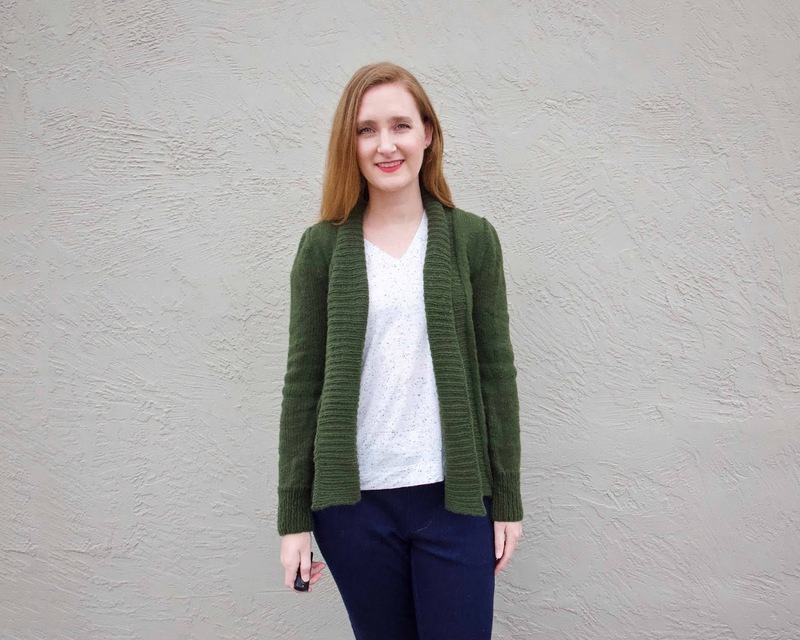 The body came together VERY quickly, and I really didn't have any trouble with it until it came to that front ribbing. Part of the trouble was that I didn't really realize how big that piece was. I thought I was nearly done and then realized I had nearly the entire front of the sweater to knit! But more of an issue is that the pattern tells you to pick up way fewer stitches than I really needed. I was a third of the way through the ribbing when I tried it on and realized how comically scrunched it looked! I'm not sure if it's my fault for the type of yarn I used or the pattern, but no one else seemed to be complaining about it on Ravelry. Even after blocking there's no way that ribbing was going to be the right size. But as you can see, it all turned out fine in the end. I unpicked the ribbing, picked up more stitches, and still finished this sweater in record time. Even with the extra stitches though, I really had to steam that ribbing to get it to open up and hang at the right length. The sweater is very soft and hangs wonderfully. Unlike many I have knit in the past, it is not too tight and fits nicely over t-shirts and the like. That said, it still isn't something I reach for regularly. To be honest, none of my knitted sweaters are. While I love to knit, I don't always love wearing knitted things. I'm hoping that, as the weather warms up, there will be more opportunities to wear this open-front sweater. I'm trying to figure out what type of knitted garments fit in with my lifestyle. I'm wondering if part of the problem is that, in the past, I haven't given myself much choice with my yarn. A large part of my yarn stash has been gifted to me (mostly from my aunt, who had bits and ends leftover from a knitting business). Even this project was won as part of a Kollabora contest a few years back. So to reset a bit, I'm clearing out all the yarn I haven't used (much of which is scratchy or not enough for a full project) and dreaming up a new project in fresh yarn. We'll see, maybe I'll be back with an update before the weather warms up. I do have some time though - in the Bay it's usually sweater weather until September! I love this sweater! The color and drape suit you.